Selling on Amazon – or anywhere on the internet – leads to potential scammers and counterfeiters selling fake versions of a product. This occurs when somebody ‘copies’ your product or brand in order to fool buyers into thinking that they are buying authentic product. The selling of counterfeit products damages not just a seller’s business but also Amazon’s reputation. Created for use by Amazon sellers who have their own brand – i.e. 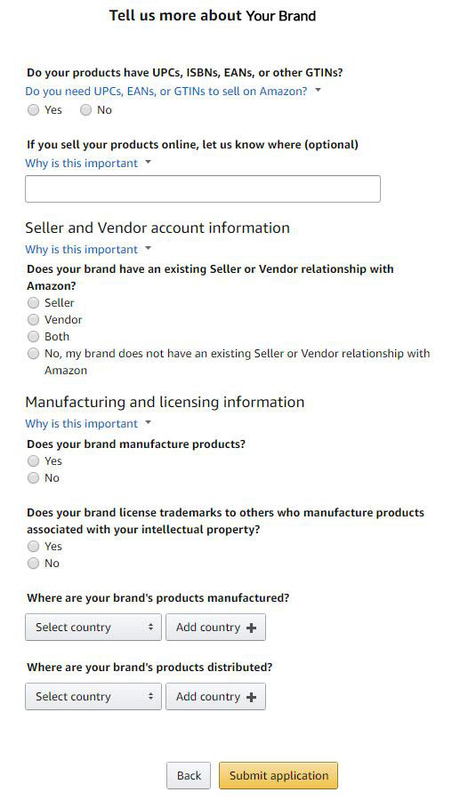 unique products which they manufacture or produce themselves from scratch and / or products which they own the exclusive rights to sell – Amazon Brand Registry helps sellers to protect their brand online. 2. Why should I register my brand with Amazon Brand Registry? 3. 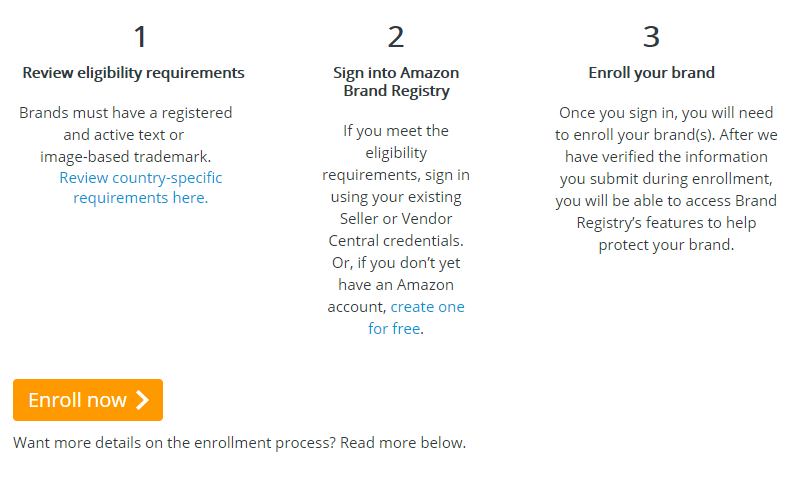 What is the Eligibility to Using the Amazon Brand Registry? 4. How do I register my brand on Amazon’s Brand Registry? Amazon’s Brand Registry was revamped in 2017 to provide an even more trustworthy and secure service for brand owners. 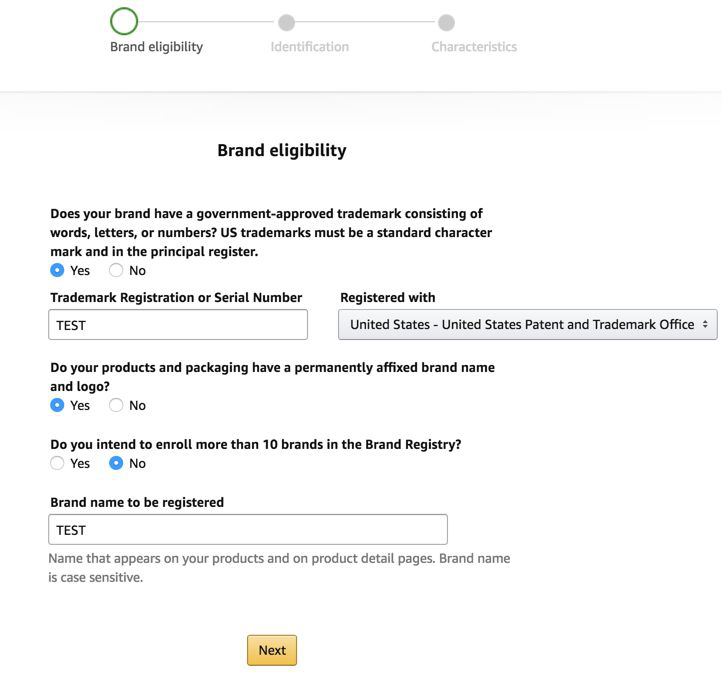 Since the update, all own brand sellers on Amazon must own a registered trademark in order to join the Registry. We’ve put together the following pros and cons of Amazon Brand Registry 2.0 to help you decide if it is right for you and your brand. Protect for your brand. The necessity of having a trademark in order to obtain Amazon Brand Registry offers an extra layer of protection for your brand. Besides, the improvements made to Amazon Brand Registry 2.0 make it much more difficult for others to counterfeit and sell your brand. New scan and search tools make it easier to spot potential counterfeiters and to act swiftly in reporting them to Amazon in order to have the listings removed. Get more customized features. Amazon Brand Registry members can upload custom videos to product pages for increased visibility. And, you can obtain unique Amazon URLs and more easily customizable product details. Time & Cost. Although having a trademark offers more protection, it does involve time and cost – it can sometimes take months for a trademark to be approved. Red tapes. Members who were using the previous version of Amazon Brand Registry will not automatically be upgraded and, therefore, will need to re-enter their branded products onto the new system. Using the Amazon Brand Registry helps to protect your brand from counterfeit sellers. The Registry allows brand owners to have exclusive ownership of a product’s Buy Box, making it easy to identify counterfeiters and report them to Amazon. Custom with their product listings including with their branded product titles, item details and images. More flexibility with product IDs and can use Amazon’s own IDs. Access to certain kinds of selling which are not allowed by non-members, such as those who manufacture their own products and those who wish to sell branded white label items. Access to an Amazon branded store front whereby a potential buyer who clicks onto a product’s brand name will be directed to a bespoke page for that brand rather than a results page with duplicate, competitor and unrelated listings. Members of Amazon Brand Registry can increase visibility with headline adverts which were previously only available to Amazon’s central sellers. Headline ads give a product a higher profile placement and help to display that product more prominently. Decrease the chance of your product listings being suppressed as you have already proved your ownership/right to sell the product. A link to your online store. The key attribute you will be using (these can be: Catalogue number, Manufacturer number, model number or style number). Your brand name and logo. Tip: Make sure that all of your online presence reflects the same logo, branding and contact details. Consistency will help to significantly speed up the process. It’s best to keep your website as simple as possible as this helps Amazon staff to quickly find and verify the information. Once you have your Amazon Brand Registry account set up, you can always go back and make your website more fancy or professional. Once you have all of the above ready, it’s time to begin the process of registering with Amazon Brand Registry, or you can learn from the video below. Once you have reviewed the guidelines for your territory, sign into your Amazon or seller account as instructed in Step 2, above. After clicking ‘Next’, it’s time to upload the photographs that you prepared earlier. Once you’re 100% sure that all of the information you have entered is correct, click on ‘submit application’. Remember, once you have submitted your application, you can’t make any further changes and, so, if you’ve made errors, you may have to begin the whole process again. Once you have submitted your application, Amazon will verify your trademark information with the relevant trademark provider for your territory. In order to make the process run more smoothly, you can contact your trademark authority and advise them to expect the communication from Amazon. When Amazon has verified your trademark, you will receive from them a verification code. 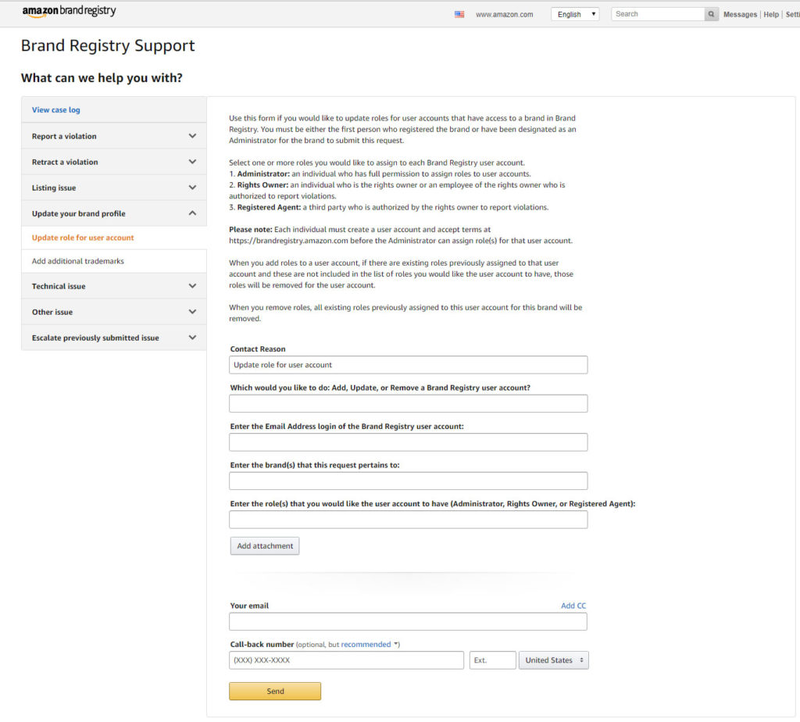 Log into your seller or vendor account, click onto ‘view your case log’, input the Case ID from your first email from Amazon Brand Registry support and select ‘Go’. Now, select ‘View’ or ‘Respond’, hit ‘reply and paste in your verification code and press send. Your Amazon Brand Registry account will normally be activated within 1-2 business days of your sending through the verification code. Even though your Amazon Brand Registry account is now active, you may still need to activate your individual products. You can check this by visiting Reports – Business Reports – Brand Performance. The ASIN’s listed here will have been actively enrolled in Brand Registry. If you can’t see some or all of your products listed in the Brand Performance you may need to do a partial update using the UPC code, manufacturer part number or catalog number. Once your Amazon Brand Registry account is up and running, you can assign rights to colleagues or other people who may help you to run your business. Each of these people must create an Amazon Brand Registry account and agree to the terms and conditions before you will be able to assign rights to them. Now that you have your Amazon Brand Registry account set up and you’ve assigned your team, you can enjoy all of the benefits of being a member – including helping to drive product counterfeiters away from Amazon’s pages. 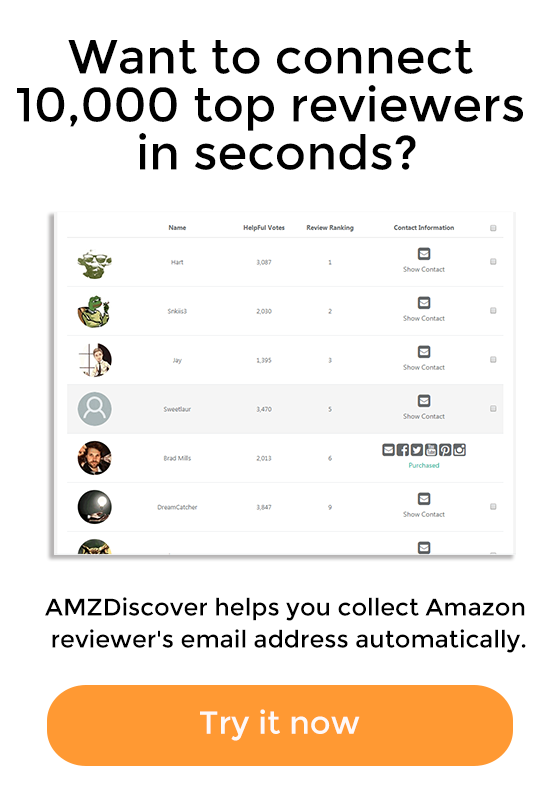 How to Deal With Amazon Competitors Hijacking Listings?